Craft your own Magic abilities, Explore a captivating Open World and follow the heartwarming story of Pimpim. 637 backers pledged €36,139 to help bring this project to life. Miss out on the Kickstarter and still want to pledge? Visit our website and follow us on our social medias. Little Legend is a 2D side-scrolling adventure game taking place in a dreamlike open world. You play as Pimpim, a young girl with supernatural powers who sets off to explore the world. Craft your own magic abilities, explore a huge captivating world and discover the secret behind the rebuilding of the universe. With Little Legend, we wanted to reproduce the same feeling of satisfaction as the one you get when you exploit a glitch in a video game to your advantage to reach the highest platform or pass through a closed door. We like when the player feels smart about discovering how to overcome an obstacle using its own way and not the one that was thought for him by the creators of the game. In Little Legend, you will follow a main storyline and several secondary quests in an open environment. Nothing compels you to follow the main quest to explore the world, you can indeed freely wander around at your own pace at the beginning of the game. In the City, you can interact with people, find useful information or make purchases, if necessary. As you may have noticed, Little Legend is not a Metroidvania. We don’t want to set up a level of difficulty too high so everybody can enjoy the experience. Several paths can be taken to reach the same spot but the shortest can also be the hardest ones. In most exploration video games, artefacts or specific abilities are required to progress forward in the levels. In Little Legend, magic abilities with multiple effects allow you to explore the environment and also to defend yourself against various threats. To do that, Pimpim will have to use her core magic ability : The Magicraft. The Magicraft allows the energy of two elements present on the screen to be extracted and be transformed into a magic ability. The elements mainly come from the environment but can also appear during unexpected events (flame shots of a monster, falling dust after an earthquake in a cave, etc.). Some elements are hidden or appear only during specific moments or within a short time frame, therefore the game requires your whole attention and observation of the environment. It’s up to you to mix elements together and try to understand all the Magicraft effects by experimenting with their combinations. When you learn a new magic ability, you keep it forever. It becomes more powerful and useful as you cross and pass by elements of the same type in the wild. Each player will have its own favorite abilities and will evolve differently from others. It is possible to chain them to obtain surprising outcomes. You will often encounter aggressive enemies on The Grand Continent. You can either avoid them or defend yourself using your magic abilities. Nevertheless, your magic abilities are not weapons, Pimpim has no reason to battle with any kind of creature inhabiting The Grand Continent. You will have to find a way to incapacitate your opponents by using the correct magic abilities in the proper way. Once controlled, the enemy becomes passive and ignores you. If some magic abilities don’t have any effect on enemies, some others produce interesting reactions. The enemies can leave a loot. Unlike the majority of video games, there is no need to kill enemies to earn money. Instead, a way should be found in order to get the loot from them while they are active. The innate power of Pimpim is to turn into a Magic Weasel. This power allows her to fly, to get through narrow pathways and to communicate with the other living beings. However, Pimpim is much weaker under that form and the smallest attack can be fatal. Fortunately, she can use her defensive magic abilities to get by. The flying ability which she can only use in outdoor environments enables her to travel fast or to reach particularly high heights, but also to quickly cross long distances without having to walk. At some points, magic energy flows might make your ability to fly last longer. The further you progress, the longer your ability to fly will last. As a magic weasel, Pimpim can also just frolik around. Her small size allows her to enter narrow pathways and discover a new part of the world, the one of the little creatures. Under this appearance, she can also talk to animals and even sometimes to the plants. 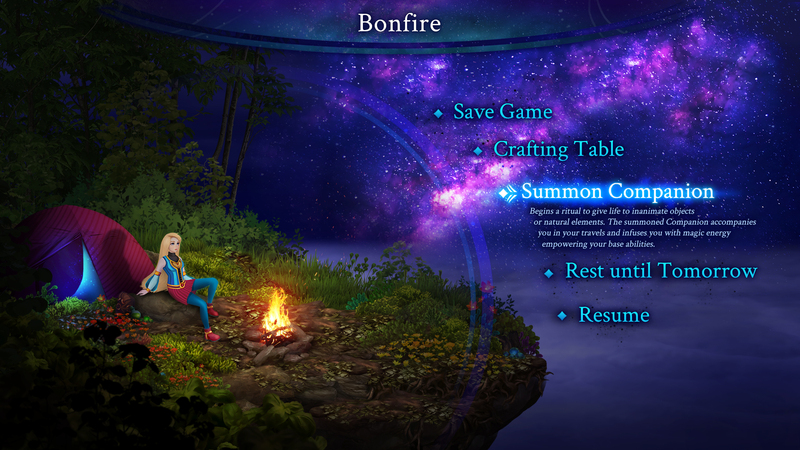 The Magicraft brings another skill : the Summoning of Spirits of Nature called Companions. In addition to this life-giving process which can bring new knowledge about the History of the World, Pimpim will also be able to choose them as Companions. The Companions are the equivalent of the various pieces of equipment in Role Play Games but in Little Legend, they will play the role of Pimpim’s Guardians. They will follow her and enhance her endurance, speed or flying time, among other aspects. Some stores are opened by night in the cities and very interesting persons might be encountered. Outdoor, creatures get out from their dens, whereas for some others, it’s already time to sleep. On The Grand Continent, strange phenomenons happen : trees move around opening new pathways, lakes harden and enable travelers to cross long distances. You will have to be attentive and curious, even when it’s time for Pimpim to rest. It’s only by night that you can pitch your Magic Tent. The Tent enables you to Save the game, Summon Companions and Regenerate yourself if you have some food. If you get some sleep, you will end up on the next day, but if you rest in a bed in town, some highly appreciated extra temporary bonuses might be granted. The only way to earn money is to sell goods. Hopefully, Pimpim knows how to craft Talismans and take beautiful Pictures. ⦁ ... and more if some of the Stretch Goals are reached! One of Pimpim’s hobbies is the Crafting of Talismans. During her journey, this talent allows her to earn some money. A Talisman is composed of 3 parts : the chain, the clasp and the ornament. 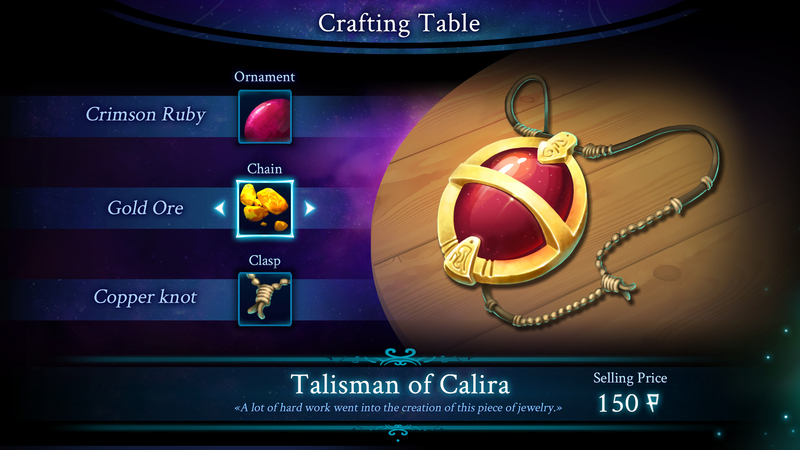 These components define the value of the Talisman (common, precious, unique, ...). Pimpim can use her Magic Scarf as a display support in crowded locations to sell her Talismans. Their prices are fixed automatically but the total value can be increased depending on your knowledge regarding this topic (books, dialogues with a merchant, etc.). The required components may all be extracted from the nature surrounding the cities. The Photography is another way to earn money while travelling. The inhabitants of Lancis are ready to pay a good price for a negative of a beautiful shot of a stunning scenery. The pictures should be carefully selected due to the film cost. Hopefully, you might receive some tips about amazing shooting spots thanks to some books or dialogues. The Grand Continent is a land in constant change, orchestrated by two giant Goddesses. High in the clouds, the magnificent City of Lancis, once destroyed for having being built higher than The Goddesses themselves. The Goddesses redesign the mountains and the lakes with their hands, they create passion as much as they divide. Some people talk about a new era of rebuilding. Others sense the coming of a time of chaos and destruction. The governing authority, upon the wise advises of The Countess announced the «Conservation plan» and opened the way to a new gold rush for Adventurers and Explorers. On The Grand Continent, waters are floating up in the air and the skies, in perpetual motion, host various universes. Snowflakes are warm and the sand becomes pink with the cold. Trees migrate when the Goddesses close their eyelids to shroud the woods with darkness. Despite the danger isolated roads represent, some farms and villages can be found along the way. Among the landscape, you can find a ravine, a never ending waterfall, a path to the unknown and roads to the past of this world. Pimpim is a teenager living on an isolated island with her adoptive grandfather. During the day, she works as a waitress in the unique inn of the island and never misses a bit of the stories told by the fearless Adventurers passing by. By night, she looks upon the sky and wonders about her unknown future. It should be noted that Pimpim is one of a kind. She has got supernatural powers which allow her to control some forces of the nature. Despite the reluctance of her grandfather, Pimpim decides to leave on her own for a long journey to discover The Grand Continent, searching for answers about her past. She reaches the Capital City of Lancis and joins the Guild of The Explorers on the advice of The Countess. One of the goals of this community is to retrieve artefacts from the past scattered everywhere because of the ever changing world, in order to preserve and keep track of their History. The music is composed by Fawzi Allouache, Creative Director and co-founder of Nevermind. Passionate about video game music, Fawzi has been composing for 10 years now. He composed the soundtrack of the game Inexistence and remixed the biggest themes of video games in his spare time (Castlevania, Final Fantasy). Composers like Kenji Ito, Michiru Yamane and Sound Team JDK have influenced his style. For Little Legend, he presents us a hybrid style of music, between symphony, electronic sounds and folk songs. Creative director and composer, his themes will be close to the desired experience. Little Legend will be entirely dubbed in French by professional film and video game voice actors. Fawzi Allouache - Adeline Chetail - Maxime Poutiline in the recording studio. Fawzi Allouache giving directions to Juliette Degenne and Adeline Chetail before the recording session. The Kickstarter campaign allows us to gain visibility and strengthen the production of Little Legend. Currently, we are four members working on the game. To speed up the production, we will need a larger team. The money raised will give us the opportunity to create a game that lives up to our ambitions with higher sprites and animation quality. Finally, this campaign will give us a first glimpse at the public reception and will allow us to engage with players involved in the beta. Fawzi Allouache and Maxime Poutiline during the pre-production of Little Legend. ⦁ Little Legend is a project originally created in 2008 by Fawzi Allouache. ⦁ After his meeting with Maxime Poutiline in 2013 in Montréal, the project is set in motion and evolves, becoming more ambitious. ⦁ We return to France in 2014, work there in various video game companies and take time to plan our project ahead. ⦁ In 2018 we create Nevermind. Some of the games the members of our team have worked on. This year we have been joined by a developer and by a talented Animator. Most of the members of our team had already worked in the video game industry on mobile, PC and console games. Our goal is to offer new video game experiences with original concepts and modern themes. Fawzi worked for several years in the video game industry as a game designer. Passionate about arcade and adventure games, he also loves to cook! Maxime has 10 years of experience in the video game industry as a graphic designer for PC and mobile games. He likes lighthearted and poetic games but only plays Counter-Strike. Jérémy has been a programmer since the age of 12 and worked several years as a technical lead in a largeIT company. Without coffee, he is as productive as an alpaca. And an anonymous talented Lead Animator! This is our first crowdfunding campaign and it took us several years to put it in place. Thanks to our experience working in the video game industry for many years, we have learned a lot and are ready to start this new journey. The feedback of the players during the beta phase will give us useful insights about the aspects of the game that we will closely have to look at. Even if we planned the production in advance, we are not immune to a postponement if it allows us to offer you a game up to your expectations. We heavily rely on your support and contribution to shape up this project we believe in and on which we have worked so hard. Transparency about the project development is important and that is why we will keep you regularly informed about the progression of the production via the social networks and our newsletter. You will receive a pack of digital wallpapers and we will keep you updated about the progress made on the production of the game. You will receive a key for a digital version of the game for one of the available versions. You will be credited in the game as a "Backer". You will receive a digital version of the artbook, manual and soundtrack. You will get a physical edition of the game with its game manual (PC Only). On top of that, you'll get access to a part of Little Legend before everyone else by playing the beta of the game in early 2020 (PC Only). You'll get a collector box signed by the members of our team, a physical version of the artbook (19x15), the physical soundtrack and a perler beads version of Pimpim in its animal form (12x12). Your name will appear in the Book of Heroes and Pimpim will pronounce your name in the game. You will get an additional key for a digital version of the game for one of the available versions and you will be credited as a "Top Backer". You will join the VIP Discord channel on which you will be invited to give your opinion on some private work. Our team will recreate and immortalize you as an NPC. Your "Non Playable Character" will appear in the capital of Lancis, the main hub of the game. You will also get an additional key for one of the available versions of the game. With our team, create your own Companion. 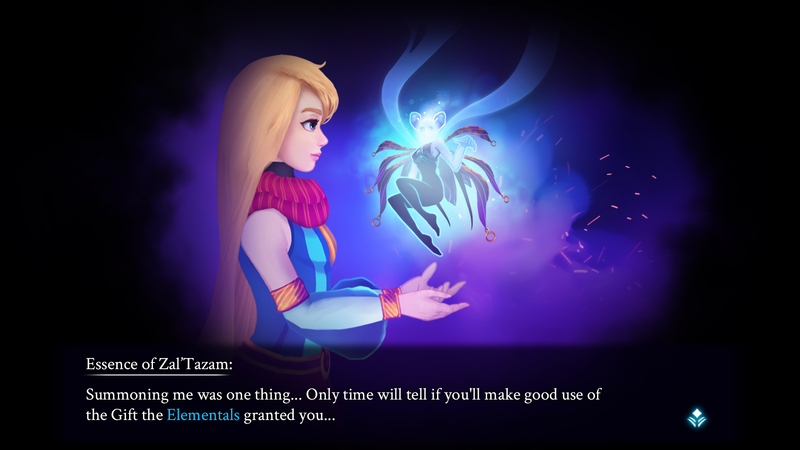 Your Companion will appear in game for everyone to see, will follow Pimpim and act as her guardian enhancing her magic abilities. You'll also get an additional key for one of the available versions of the game. Meet us and spend a moment with the team to celebreate the release of Little legend in France. You'll also get a giant perler beads version of Pimpim (58x58) and an additional key for one of the available versions of the game. Meet the team in France!